Linebred for production for 36 years. UNIQUE bloodlines not found anywhere else in the Jersey world. The 50+ straws discount applies to any team of bulls selected as long as 50 straws ordered in total. For details on their current genetic figures and daughters click on the following AEU link as there are a number of bull proof runs each year. Straws are available in New Zealand to transfer to any company. Normal transfer fees apply in addition to cost of straws plus gst. Straws qualify for export to any country in the world except China and the EU. Glenbrook Camboge currently has straws in the US and Australia. These sires come from one of the elite Jersey production herds in the Southern Hemisphere. 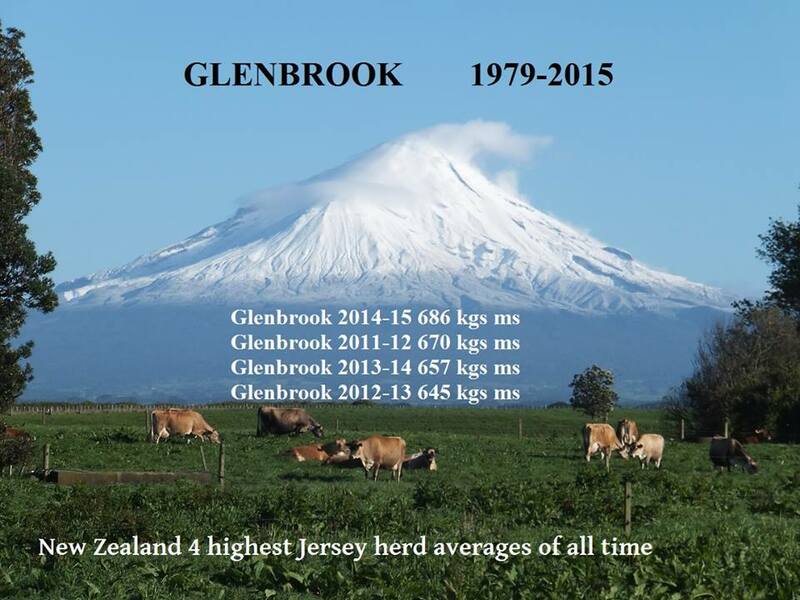 Ranked : All time any size herd Jersey record for New Zealand. Number one herd in the Southern Hemisphere for all Jersey herds. Number five herd in New Zealand over all breeds. Ranked : Third highest ever herd average in New Zealand Jersey history. Number two herd in the Southern Hemisphere for all Jersey herds. Number three herd in New Zealand over all breeds. Ranked : Second highest ever herd average in New Zealand Jersey history. 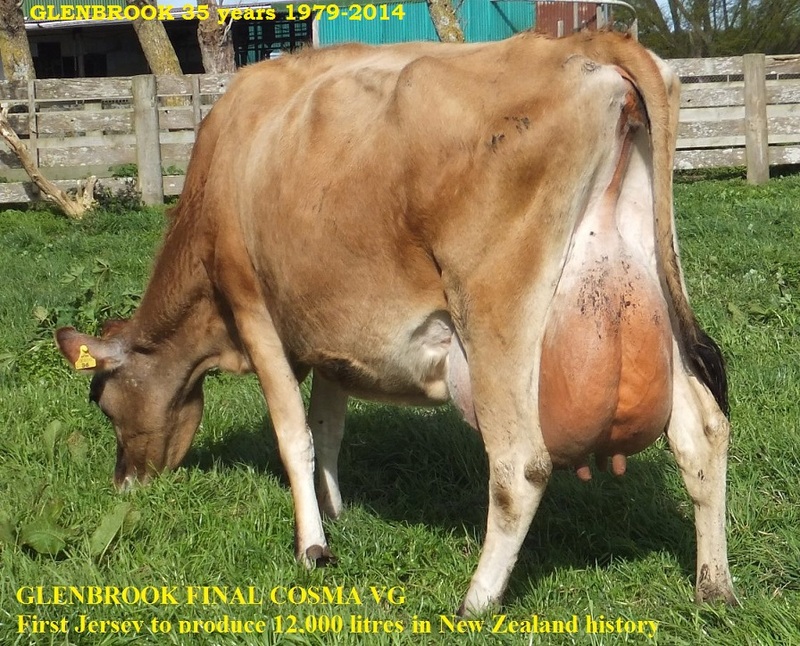 New all time record for litres milk from any aged Jersey cow for Glenbrook Final Cosma 12,747 litres @ 5yrs in 305 days. 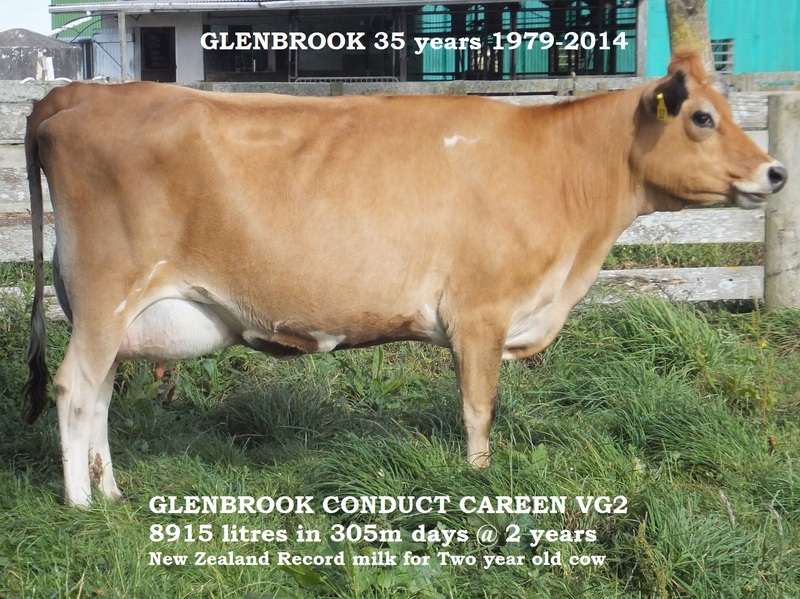 Glenbrook Conduct Careen 8,915 litres 346 kgs protein @ 2yrs in 305 days. Careen is sired by Glenbrook Conductor thus she is a maternal sister to Camboge. 2014-15 season. Autumn cows have completed their lactations and include a new record ms cow for Glenbrook also sired by a Glenbrook bull. If you want milk in the vat and money in the bank use a GLENBROOK bull.